This blog is becoming my dumping ground for cut and paste book reviews, but – whatever! 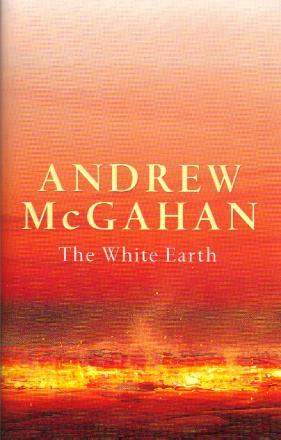 The White Earth by Andrew McGahan has been one of the best reads for the year. I am not sure who recommended it to me, but I picked it up in a new little bookshop in William St Northbridge – SECONDHAND! Yes I love a bargain and this I found for $4. I carry a list of books I wantto read and if I find a shop that stocks second hand books I pull out the iPhone and search my list until I find one on the shelf, and this was found! I seem to be reading into a bit of a rut in the past year. An enjoyable one though. The theme seems to be around either early Australian white settlement/invasion and the interaction with indigenous Aussies or more recent history (still Australian) and (again) white fella interaction with black fellas, like this one around the Mabo issue and land rights in the early ’90’s. Some ugly history we have, obvioulsy good fodder for the stuff novels are made of, but what I like is that the books I have been reading reveal something of the truth behind the ugliness and bloody mindedness of white settlers, pioneers and explorers. I know that it can be passed off as ‘culture’, ‘the way things were’, ‘the times’ or whatever, and some say we would have done the same in the time…but I hope not! I love that many if not all the books I have read lately have shown the one or two stand out European characters that have stood their ground, stood for the Aboriginal, built relationship with one or many. Usually what follows for the white is rejection, isolation and sometimes even punishment and death for the stand taken for the plight of the Aboriginal. I plan to read an auto biography next…wait and see. William is only eight when he sees a huge smoke cloud erupt on the family farm. He is confused by the events that follow – the smell of smoke, the ringing of the telephone, the appearance of neighbour’s vehicles. But eventually he realises his father has been killed in a tractor fire. William and his mother are left destitute by his father’s passing, and with the unstable mother unable to either care properly for William or work for a living, they are forced to accept the charity of an uncle William didn’t know existed. Moving into his uncle’s home, Kuran House, does not provide the stability William needs. His uncle has spent his life in an obsessed quest to own Kuran Station and now needs an heir to continue his life’s work. He is not, however, prepared to simply name William in his will. He wants the boy to prove himself. William’s mother, desperate for security and a better life, expects William to perform for his uncle. And, while William works to try to balance the competing needs of these two unbalanced adults, he is also battling a health problem which no one around seems at all concerned with. Alongside the personal struggles of William and the unstable grown ups who seem to occupy his world is the story of the Mabo case and the land rights debates of the late 20th century. The novel is set in 1992, the year the Mabo case was playing out in the nation’s courtrooms and television sets. William’s uncle is involved in the White Australia movement, through the Australian Independence League and has William assist him in his work. William is a boy desperate for love, acceptance and order and he is drawn into what he sees the League offering him. It is much later in the novel that he is forced to question both the League and his uncle’s beliefs and action. The White Earth is a complex story, with parallel plots involving William’s present and his Uncle John’s past. As William’s story unfolds we also learn what has brought his uncle to this place in his life – both physically and emotionally. 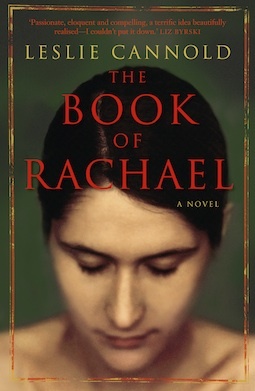 It is a novel with many shocks, gripping the reader with its sheer awfulness. Those who have read Dickens will draw parallels between Uncle John and Miss Havisham and be aware of the Dickensian feel to both the progression of the tale and the overall tone. That said, this is a very Australian novel, with a very Australian setting and cast. 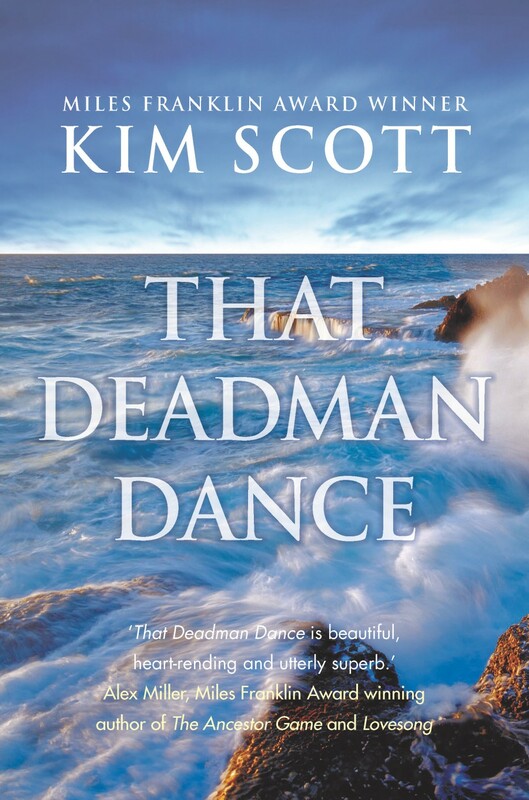 That Deadman Dance has been critically praised since its release last year and has also been shortlisted for the Prime Minister’s Literary Award for fiction and the WA Premier’s Literary Award for fiction. A great read for anyone but particularly West Aussies, Albany folks, Noongar’s and um…well anyone. 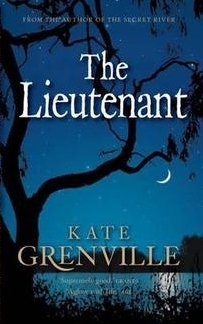 The Lieutenant is the second book in a trilogy of novels by Kate Grenville about early Australia (the others are The Secret River – see 2 posts below – and a third novel in progress). 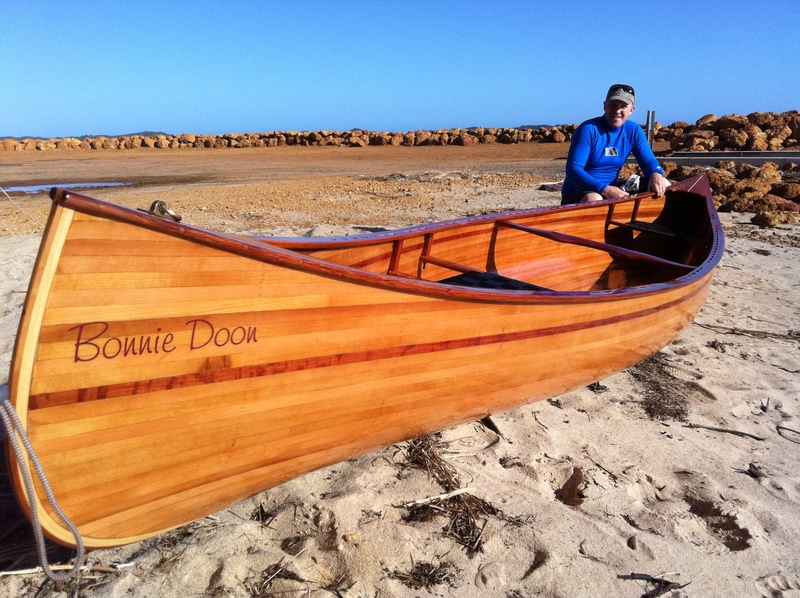 Lieutenant Daniel Rooke sails into Sydney Cove with the First Fleet, hoping to advance his career. Instead his life is unimaginably changed. A young Aboriginal girl visits and begins to teach him her language. As they learn to speak together, they build a rapport that bridges the gap between their dangerously different worlds. Then Rooke is given a command that forces him to choose between his duty as a soldier and the friendship that’s become so precious to him. Inspired by the First Fleet notebooks of William Dawes, The Lieutenant is about a unique moment when one world engaged with another, and the two remarkable individuals who found ways to share understanding. I finished this book last night and yet again have been inspired and dismayed by the characters surrounding the invasion of the first fleet here in Australia. Dawes was an inspirational man, but just a man. He had his own issues and story. He finished this life amongst the poor and needy, people who were or had been enslaved and he spent his money in buying their freedom or so legend suggests! We do know that he spent much energy in the fight against slavery. I look forward to the next book by Grenville! 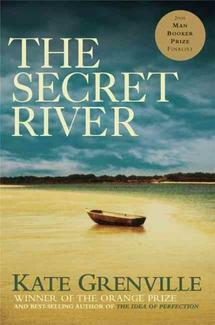 The Secret River is part of a trilogy about early Australia (along with The Lieutenant, published in 2008, and a third novel in progress). It’s set in the early nineteenth century, on what was then the frontier: the Hawkesbury River, fifty miles beyond Sydney. William Thornhill, an illiterate Thames bargeman and a man of quick temper but deep feelings, steals a load of timber and is transported to New South Wales in 1806. Like many of the convicts, he’s pardoned within a few years and settles on the banks of the Hawkesbury River. Perhaps the Governor grants him the land or perhaps he just takes it – the Hawkesbury is at the extreme edge of settlement at that time and normal rules don’t apply. However he gets the land, it’s prime riverfront acreage. It looks certain to make him rich. There’s just one problem with that land: it’s already owned. It’s been part of the territory of the Darug people for perhaps forty thousand years. They haven’t left fences or roads or houses, but they live on that land and use it, just as surely as Thornhill’s planning to do. They aren’t going to hand over their land without a fight. Spears may be primitive weapons, but settlers know that they can kill a man as surely as a ball of lead from a musket. As he realises all this, Thornhill faces an impossible choice. Some of his neighbours – Smasher Sullivan, Sagitty Birtles – regard the Darug as hardly human, savages with as little right to land as a dog. When the Darug object to being driven off, those settlers have no compunction in shooting or poisoning them. Other neighbours make a different choice, and find ways to co-exist with the Darug. Blackwood has made a family among them. Mrs Herring “gives them when they ask”. Hostility between blacks and whites gradually escalates. Finally a group of settlers decides to go out and “settle” the Darug for once and for all. Will Thornhill join them? The decision he makes is with him for the rest of his life. 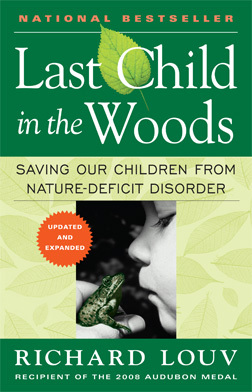 n this influential work about the staggering divide between children and the outdoors, child advocacy expert Richard Louv directly links the lack of nature in the lives of today’s wired generation—he calls it nature-deficit—to some of the most disturbing childhood trends, such as the rises in obesity, attention disorders, and depression. I picked up an Australian history book on The Book Depository – THE best place to buy cheap books the other week and it arrived a few days ago. The thing that has got me deeply hooked into this great read is that when I grew up I attended WembleyDowns Church of Christ. I grew up with a family that still attends that Church, a family in which the dad was always going off diving with the University and working with the WA Maritime museum. It was not until I was in high school doing history that my parents told me that the particular history I was studying (The Batavia) was what this guy John had been working on for some years. He was diving collecting and restoring the old ship, which can be seen with some of its treasure at the WA Maritime museum in Fremantle. In 1629, the Dutch merchantman Batavia grounded on a desolate atoll near Western Australia. Of the 200 survivors, 115 were subsequently murdered, in coldest blood, by a group of the ship’s sailors and their psychopathic leader, Jeronimus Corneliszoon. 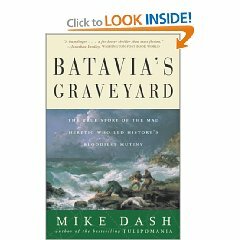 Batavia’s Graveyard is Mike Dash’s unnerving, measured account of the incident. The victims included children, babies, and pregnant women; the crimes took place over a period of several months. Though the killings make a substantial, chilling tale in themselves, Dash adroitly places the shocking spree in larger context with illuminating discussions of 17th century medical practices, religious heresy, global politics, and shipboard sociology and daily life. Additionally, he draws dozens of portraits of the participants in this ghastly drama, most fascinatingly that of Corneliszoon, who emerges as a grotesquely charismatic predecessor of the likes of Charles Manson and Ted Bundy. Batavia’s Graveyard, a skillful melding of accessible scholarship and evenhanded narrative and of overview and telling detail, is a welcome achievement.